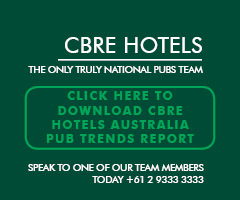 Ferrier Hodgson has issued a warning that pub rents in some states are headed for a “revision” as changing environments and uncertain property prices continue. 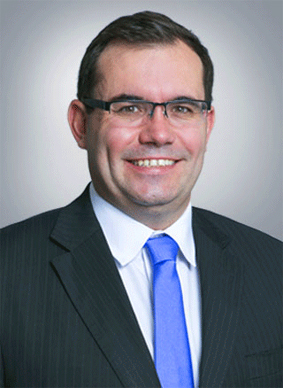 David Kidman, Ferrier Hodgson (F-H) director in South Australia, posted a review of the sector at the conclusion of 2018 forecasting that “Rent revision looms for local landlords”. The advisory article was in reference to South Australia and Adelaide, but many of the significant points raised are also, or have previously been, issues in the eastern states. Freehold owners have traditionally enjoyed multi-pronged benefits in addition to widespread appreciation of land values and developmental opportunities, including high barriers to entry of competition, and freedom to command high rents with in-built increases, due to strong demand from operators. Adelaide has experienced some landlords selling some or all gaming entitlements as a trade-off for reduced rent, with the double-edge being further reduction in the hotel’s revenue. This is also bringing sorry results for the landlords, with gaming entitlements in South Australia now trading at just $12,750, which is less than a quarter of their value six years ago. The changing dynamics of the assets has more being considered on their ‘sum of parts’ values, which are at times surpassing those of the valuation based on an income stream, with all gaming entitlements sold off. These issues have combined to bring about the closure and/or insolvency of a high number of leaseholds in the past 12 months. Adelaide’s CBD has lost the Office, the Stag (again), Jack Ruby, the Colonel Light (again) and the Ambassadors, and iconic venues including the Semaphore and the Archer in the suburbs. Outside Adelaide, hard times have overcome the Lucindale, the Kincraig, the Woodside, the Tintinara and the Traveller’s Rest. F-H suggests the days of sustained incremental rises on pub rents in South Australia appears over. Kidman says the freehold market is likely headed for a natural correction, with operators able to negotiate fairer and lower rents. The company notes that freehold values will be affected by leases seeing rent reductions, which could have adverse consequences on those that are heavily geared. One suggestion offered to mitigate the losses, especially for larger venues, is to consider reducing floor space of the primary lease (subject to approval), and letting the balance for alternative use. Landlords may also have to accept a new reality on rental clauses that automatically ratchet annual rent. The hospitality team of F-H boast more than 25 years working with financiers and operators in the hotel industry and reports review of more than 200 venues and management of over 100 venues nationally in the past five years.